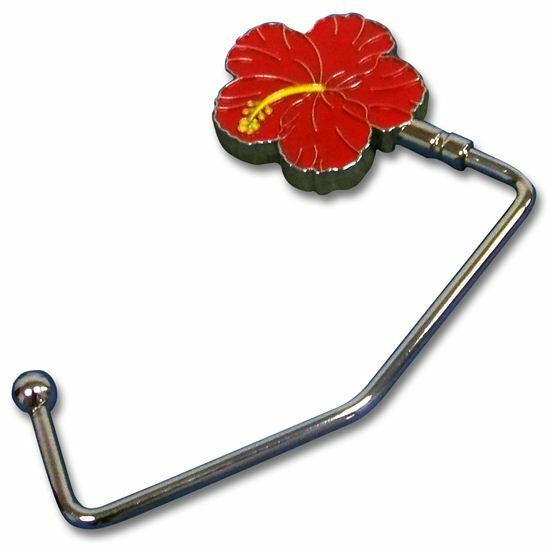 This Hawaiian style Purse Hook never lets you wonder where to put your purse. No more worrying about putting your purse on the ground and getting it dirty or lost because you can hook it wherever next to you. [Length] 3.5"
Looks just like the picture. Was surprised that is was made in China but still cute.